ourselves on our professional service, quality workmanship and expert design. 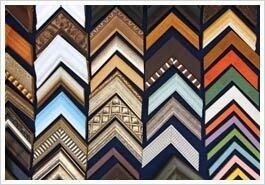 All of our custom frames are made by Paul Hume, owner and operator of PHOTOQ. We offer a complete print and framing solution. 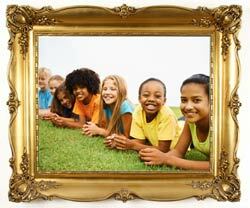 There is no need to visit a specialist photo lab and then a picture framing shop, we are both! Printing and framing as one package. PHOTOQ take the hassle out of dealing with a printer and a framer, we understand that deadlines and budgets are important and we are here to help. If its certificate frame's, medals, commemorations or simply advertising that your business requires then we will have a solution for you. Call us on 03 9855 0006 to discuss your next project. PHOTOQ provides Block Mounting and laminating services to finish your image in a sharp and modern fashion often selected when the desired look is for the image only to be viewed rather than having a frame surround the image. Your image or artwork can be mounted on either 3, 6, 9 or 12mm MDF timber finished with a black edge. Also popular is mounting your image on foam which is a light weight option often preferred when non permanent fixing solutions are required. The image is mounted to either 5, 10 or 20mm foam and the a black edge is added for a sleek look. Customers have the option of finishing and protecting their image/artwork with either a Matt or Gloss lamination.